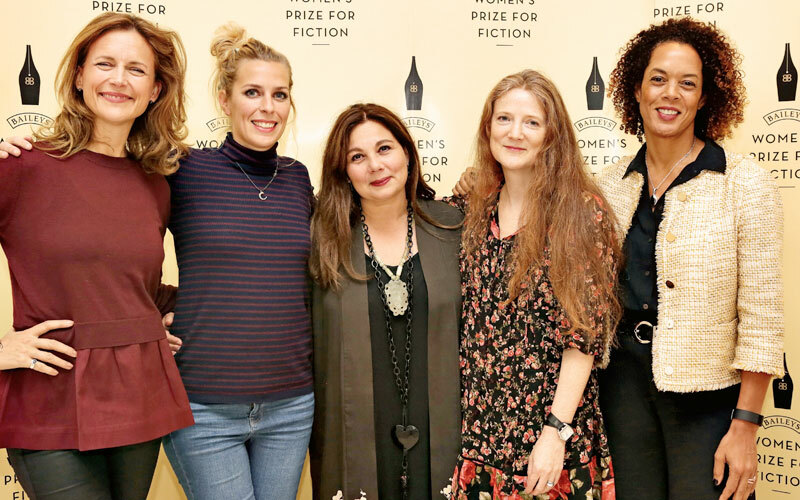 Monday 4th December 2017: The judges for the 2018 Women’s Prize for Fiction – one of the biggest international celebrations of women’s creativity in the world – are announced today. 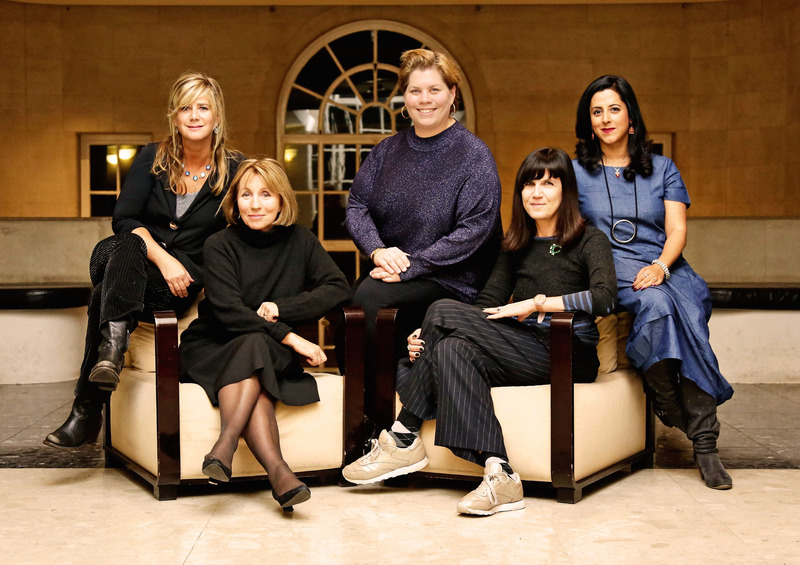 Chair of Judges, Sarah Sands, Editor of the Today Programme, is joined by Anita Anand, radio and television journalist; Katy Brand, writer, comedian and actor; Catherine Mayer, journalist, author and co-founder of the Women’s Equality Party and actress Imogen Stubbs. The Women’s Prize for Fiction is the UK’s only annual book award for writing by women celebrating excellence, originality and accessibility. 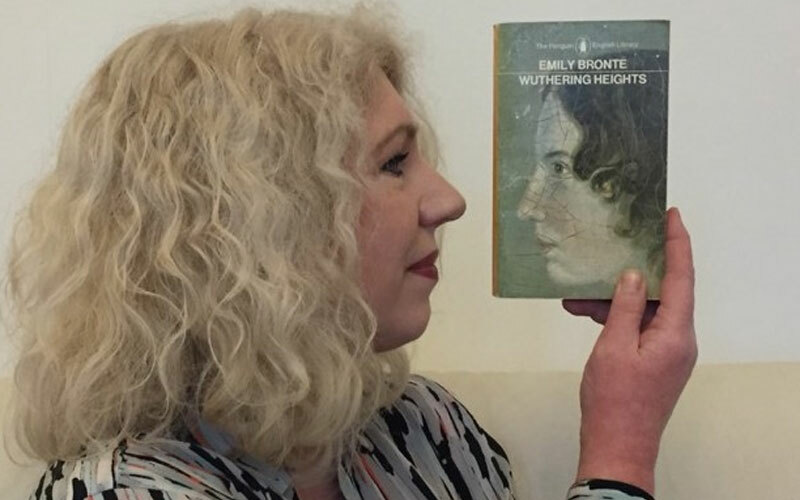 Established in 1996, to celebrate and promote international fiction written by women to the widest range of readers possible, the Prize is awarded for the best novel of the year written by a woman. Any woman writing in English – whatever her nationality, country of residence, age or subject matter – is eligible. 2018 marks the 23rd year of the Prize. The winner will receive an anonymously endowed cheque for £30,000 and a limited edition bronze figurine known as a ‘Bessie’, created and donated by the artist Grizel Niven. The 2018 Women’s Prize for Fiction will be awarded on June 6th 2018 at an awards ceremony in central London. Previous winners include Naomi Alderman for The Power (2017), Lisa McInerney for The Glorious Heresies (2016), Ali Smith for How to be Both (2015), Eimear McBride for A Girl is a Half-formed Thing (2014), A.M. Homes for May We Be Forgiven (2013), Madeline Miller for The Song of Achilles (2012), Téa Obreht for The Tiger’s Wife (2011), Barbara Kingsolver for The Lacuna (2010), Marilynne Robinson for Home (2009), Rose Tremain for The Road Home (2008), Chimamanda Ngozi Adichie for Half of a Yellow Sun (2007), Zadie Smith for On Beauty (2006), Lionel Shriver for We Need to Talk About Kevin (2005), Andrea Levy for Small Island (2004), Valerie Martin for Property (2003), Ann Patchett for Bel Canto (2002), Kate Grenville for The Idea of Perfection (2001), Linda Grant for When I Lived in Modern Times (2000), Suzanne Berne for A Crime in the Neighbourhood (1999), Carol Shields for Larry’s Party (1998), Anne Michaels for Fugitive Pieces (1997), and Helen Dunmore for A Spell of Winter (1996). Anita Anand has been a radio and television journalist for over twenty years. On BBC television she has presented, among other shows, Daily Politics, The Heaven and Earth Show and Newsnight. She is currently the presenter of Any Answers on BBC Radio 4. Her first book, Sophia: Princess, Suffragette, Revolutionary, received widespread acclaim. Her new book, Koh-i- Noor: The History of the World’s Most Infamous Diamond, is co-authored with William Dalrymple and published by Bloomsbury. Imogen Stubbs trained at RADA, did nine years dance training at the London School of Contemporary Dance and gained a 1st in English at Oxford. Her vast theatre experience includes productions at the RSC, The National, The Old Vic, The Donmar Warehouse and various West End productions. Recent stage credits include Things I Know To Be True (Frantic Assembly), Communicating Doors (Menier Chocolate Factory), Elephants (Hampstead Theatre), Alecky Blythe’s Little Revolution (Almeida) and Strangers On A Train (Gielgud). For the Royal Shakespeare Company Imogen appeared in Othello, Two Noble Kinsmen, The Rover and Richard II. Additional stage credits include Gertrude in Hamlet at the Old Vic, Sarah Frankcom’s production of Tennessee Williams’s Orpheus Descending and Private Lives (Royal Exchange), Salt, Root and Roe (Donmar Warehouse/West End) and A Marvellous Year For Plums at the Chichester Festival Theatre. Her film work includes Jack & Sarah, Twelfth Night, True Colours, Deadline, A Summer Story and Sense and Sensibility. Television includes Parents, Collusion, Big Kids, Blind Ambition and Anna Lee. Orange was title sponsor of the Prize between 1996 – 2012 and Baileys, the world’s first cream liqueur, was title sponsor from 2013 – 2017. In May 2017, the Prize announced that it would be adopting a new sponsorship model. From 2018, the Women’s Prize for Fiction will be supported by a family of sponsors, a group of leading brands and businesses from different sectors, rather than by a single title sponsor. Baileys, which has held the title sponsorship for the past four years, will be part of this family of sponsors. The full line-up of sponsors will be announced – together with the programme of WPFF 2018 events – in January 2018. The Prize’s spokesperson is novelist and WPFF Founder Director, Kate Mosse, Harriet Hastings is Managing Director and Amanda Johnson is Project Director. The Prize’s board comprises of Joanna Prior (Chair), Alison Barrow, Harriet Hastings, Felicity Blunt (Company Secretary), Annie Coleman, Karen Jones CBE, Louise Jury, Martha Lane Fox CBE, Sandeep Mahal, Nicola Mendelsohn CBE, Kate Mosse OBE and Anna Rafferty. Together they are responsible for the overall management and direction of the Prize and the sponsorship arrangements. The Prize’s patrons are; Dame Gillian Beer DBE, Rosie Boycott, Liz Calder, Shami Chakrabarti CBE, Helen Fraser CBE, Fi Glover, Daisy Goodwin, Muriel Gray, Bettany Hughes, Paula Kahn, Martha Kearney, Jude Kelly OBE, Helena Kennedy, Baroness Kennedy of The Shaws QC FRSA, Kirsty Lang, Sue MacGregor CBE, Sheena McDonald, Dame Jenni Murray DBE, Penny Perrick, Dame Gail Rebuck DBE, Miranda Richardson, Tessa Ross CBE, Gillian Shephard, Baroness Shephard of Northwold, Ahdaf Soueif, Sandi Toksvig, Polly Toynbee, Joanna Trollope OBE and Lola Young, Baroness Young of Hornsey OBE. 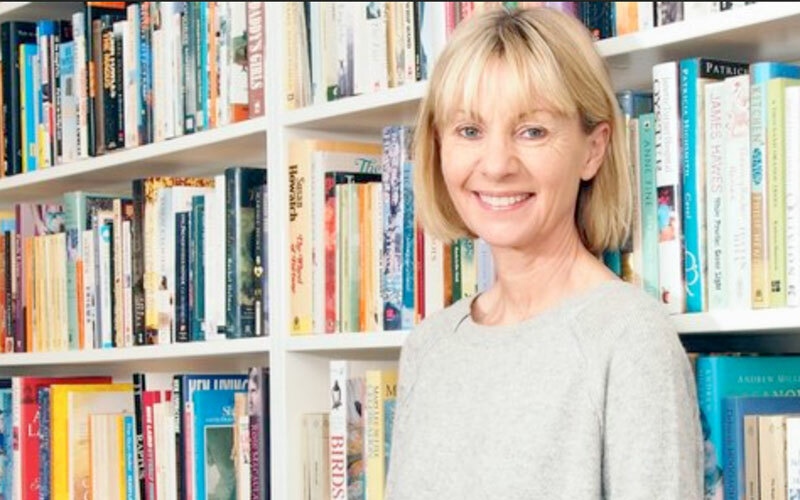 The Prize’s Advisory Council comprises of Kate Mosse OBE, Clare Alexander, Jane Gregory, Susan Sandon and Carole Welch. In November 2015, a celebration marking the 20th anniversary of the Women’s Prize for Fiction saw Half of a Yellow Sun by Chimamanda Ngozi Adichie, winner of the Prize in 2007, named ‘Best of the Best’ of the winners of the second decade of the Prize.